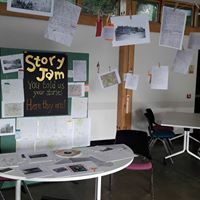 Story Jam is a monthly storytelling night for adults, based in South-East London. It was started by Alys Torrance six years ago and I started co-helming in 2014. 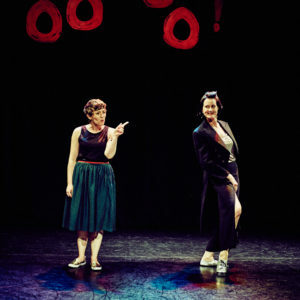 Story Jam is one of London’s best loved storytelling nights with a reputation for artistic excellency and a warm welcome. We’re currently in residence with the Albany Theatre, across their two spaces in Deptford and Canada Water. As well as running the night, Alys and I tell stories together and develop bespoke storytelling projects for other organisations. In 2016 we teamed up with Thomas Tallis School, Kidbrooke, to make Galloping Horse – a storytelling and workshop project to complement issues addressed in PHSE such as boundaries and consent. Look out for Galloping Horse across other schools in 2018.